Home » 2014 , England , Euro Cup , Germany , Malta , Netherlands , Portugal , Scotland , Switzerland , Turkey , u17 , Uefa , Youth » UEFA U17 European Championships - Future Stars, or Names We'll Never Hear Again? 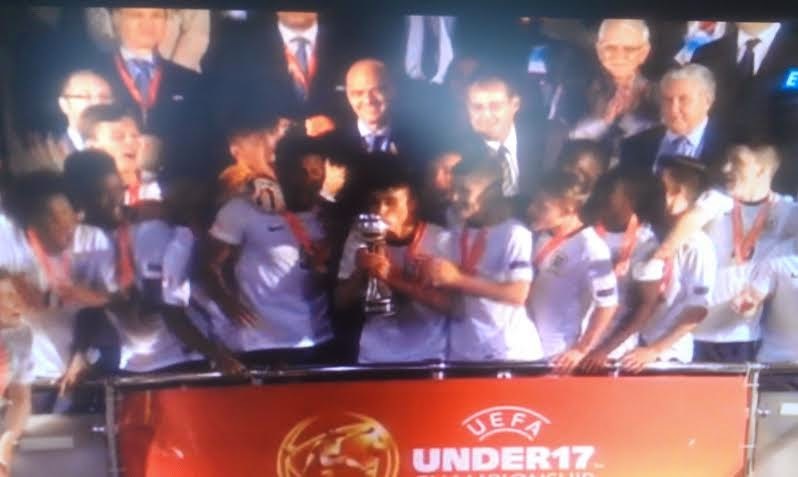 UEFA U17 European Championships - Future Stars, or Names We'll Never Hear Again? As I sit here watching the final match of the U17 Euros, that is being contested between the English and the Dutch, I start to wonder whether or not I am seeing kids that will eventually become stars in the footballing world. It is the 37th minute, and England is enjoying a 1-0 lead with a wonderful goal from Chelsea youngster Dominic Solanke in the 25th minute. This year’s tournament in Malta has been a little less exciting than the ones in previous years, nonetheless, there have been some moments of sheer-brilliance from some of the 16 and 17 year old youths. The u17 tournament is a simple two-group affair that sees the two group-leaders advance into the semi-finals. Update: Netherlands tie the game up just before the half with an outstanding combination, and a beautiful half-volley by Feyenoord’s Jari Schuurman. Group A was won by the Dutch who completed their 3 matches with a perfect record, defeating eventual group runner-ups and tournament finalists England, along with Turkey and Malta by a combined score of 10-4. England finished second in the group with 2 wins and the aforementioned loss to the Dutch. There were a few standout youngsters in this group: Turkey’s captain and Bursaspor footballer Enes Ünal looked sharp up front scoring 2 goals in the group stage. At 16, Ünal had already played for the Turkish u21 squad, but given his young age he was eligible for this tournament. Newcastle United’s Adam Armstrong was also a standout striker for England. In Group B Portugal and Germany were the favorites to advance over the Scots and the Swiss, but Scotland’s u17 squad had other ideas. With a 1-0 win over the Germans and a 3-1 victory against the Swiss, Scotland advanced to the semi-finals well ahead of Germany who only managed to collect 1 point from a draw against Switzerland. Portugal won the group with a perfect record, without conceding a goal and a combined score of 4-0 in the group stage. Aberdeen FC’s forward Scott Wright was the inspiration for Scotland’s win against the Germans, and I general enjoyed a decent tournament in the group stages. Portugal fielded a few highly rated players with Porto’s 16 year old Luis Mata, Benfica’s Ruben Dias and Sporting’s goalkeeper Pedro Silva all showing very well. Update: Dutch goalkeeper handles a pass back in the box, but England cannot convert the indirect free-kick from about 7 feet out. In the semi-finals the winners of group A proved to be too strong for both the Portuguese and the Scots. With England winning their affair against Portugal by a score of 2-0, and the Dutch giving Scotland no reason to celebrate with a clinical display in a 5-0 victory. Now back to my original thought; most footy enthusiasts don’t watch these tournaments mainly because they don’t recognize the names, so how many of the young talents I’m watching today will appear on the TV sets of millions in a few years? England - Goal! - Clinical finish to the bottom right corner. Netherlands - Save! - Newcastle's young keeper does well. England - Goal! Another good finish, this time from Moore. Netherlands - Goal! And the youngster tells the England supporters to be quiet. England - Goal! Cooke with a strong shot, again to the bottom corner. Netherlands - Miss! Left, wide of the net. And there you have it. The Three Lions win this tournament for the 2nd time in 4 years. But which of these youngster we will be watching in the years to come?